In the following essay I wish to critique the concept of contemporary humanitarianism and suggest that it is predicated on the very basis that it claims to oppose. In the first section I consider the politics of identity that is present in humanitarianism, considering the processes of alterity which construct a ‘self’ and ‘other’ notion which is actually against what humanitarianism claims to be for. In the second section I question what the referent object of humanitarianism is, suggesting that it is not the individual human but the state. In the third section I look closer at the state as the referent object and suggest that the ‘Responsibility to Protect’ doctrine perfectly encapsulates the argument of this essay. Contemporary humanitarianism relies upon distinctive and rarely problematized identities. It relies upon an ‘us’ and a ‘them’. By a process of alterity the humanitarian frame constructs identities of victims, aggressors, and protectors. As Jenny Edkins (2003a) has argued, to ask questions of should one intervene? ; who holds responsibility?, is entirely predicated on the belief that, ‘the people we are concerned to help are what we call “strangers”. The assumption is that ‘we’ and ‘they’ are already distinct, before there is any relationship between us’ (Edkins 2003a: 255). This is a major problem with humanitarianism: while humanitarianism is seeking to preserve a basic and common form of humanity, there is a clear distinction between ‘victim’ and ‘protector’. This creates a hierarchical structure which allows an identity, such as victim, to be imposed upon individuals: it simultaneously silences and speaks for an individual. Commonality is not present here, but rather difference and alterity. 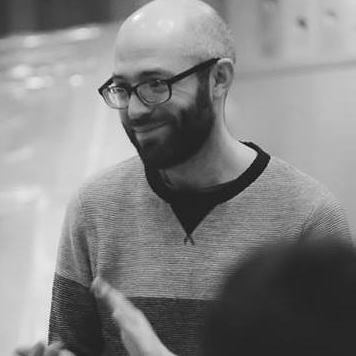 David Campbell (1998) has written that, ‘As the vocation roused by alterity, deconstruction’s onto-political claim is that our condition can be characterised by the problematic of identity/difference, where neither term can be understood except in relation to the other’ (Campbell 1998: 509). The ‘victim-other’ and the ‘protector-self’ are mutually constructed and one cannot exist without the other: the condition of possibility for one of the identities is found within the designation of the other. But there is more to the creation of the ‘victim’ identity that must be considered. The ‘protector-self’ alone is not enough to construct the ‘victim-other,’ there is also the requirement of the ‘sovereign aggressor’. In the humanitarian frame it is the ‘sovereign aggressor’ who persecutes individuals, leading to the construction of the ‘victim-other’ by the now constructed ‘protector-self’. This train of logic is possible within a framework centred on the primacy of the sovereign state, and the sovereign state is only possible by accepting these reified distinctions of ‘us’ and ‘them’. To speak against injustices in the world – for there to be even any understanding of the concept of justice as it is understood within humanitarianism – there must be an assumption of the sovereign and the subjects. The condition of possibility under which a western state may criticise another state for physically harming its citizens is based upon the acceptance of a sovereign having both power and responsibility over individuals within that sovereign state. To criticise an abuse of power is to simultaneously undermine sovereignty (that of the ‘other’ state) while reinforcing the sovereignty of one’s own state. As Scott Watson has put it: ‘[A]ll humanitarian assistance violates the norm of state sovereignty and the state-citizen relationship, while simultaneously reaffirming that norm’ (Watson 2001: 11). It is a form of humanitarianism that David Rieff has called ‘state humanitarianism’ (cit. Edkins 2003a: 254). Campbell has noted that, ‘the construction of people as victims, incapable of acting without intervention, through the primacy of the concern with oppressed and devastated peoples, is the new humanist basis of humanitarianism’ (Campbell 1998: 506). The lack of agency that the ‘victim’ is presented as having is so profound, it is believed, that intervention is necessary to retrieve the humanity of the ‘victim’. The ‘victim’ has been degraded and stripped of all rights by the sovereign aggressor, who has violated the basic humanity – sometimes portrayed as ‘innocence’ – of the ‘victim’. Edkins finds this view problematic and says of the ‘victim’: ‘[T]hey are treated as lives to be saved, lives with no political voice, or what Giorgio Agamben calls “bare life”’ (Edkins 2003a: 256). The suggestion is that to view an individual who is being harmed by the sovereign as a ‘victim’ in the humanitarian frame, is to view that individual in the same light as the aggressor. The reason for this is because the concept of sovereignty is essential to humanitarianism as it is generally understood today. Agamben himself stated of humanitarianism that: ‘[H]umanitarian organizations – which today are more and more supported by international commissions – can only grasp human life in the figure of bare or sacred life, and therefore, despite themselves, maintain a secret solidarity with the very powers they ought to fight’ (Agamben 1998 : 133). This is a serious criticism of humanitarianism and suggests that the humanitarian is complicit in the designation of people as having no agency; that the humanitarian is part of a process of silencing that renders those being harmed as ‘bare life’ and lacking in agency. The ‘bare life’ (or homo sacer, ‘sacred man’), is not part of an ordinary process of political power, but rather pure control. As Campbell has noted, ‘Foucault observed that human relationships at all levels involve one person trying to control the conduct of the other’ (Campbell 1998: 510), but this means power is in a dyadic relationship which can shift and even reverse – it is not immobile and fixed (Campbell 1998: 510-511). In the case of the sovereign and the homo sacer there is no dynamic power relationship, there is no real political process. Agamben has argued that: ‘A humanitarianism separated from politics cannot fail to reproduce the isolation of sacred life at the basis of sovereignty’ (Agamben 1998 : 134). A humanitarianism that was repoliticised could hope to come to a new understanding of what humanitarianism is, with Campbell suggesting, ‘it involves a repoliticisation of humanitarianism so that its relationship to sovereignty can be problematized. This repoliticisation has to be aimed at both the role the sovereignty of the state plays in the technologies of humanitarianism and the pivotal place occupied by the sovereignty of the person in the body of the victim’ (Campbell 1998: 519). It would be an attempt, as I would have it, to find the human in humanitarianism. Or, as Edkins would have it: ‘No longer is a politically qualified life the subject of politics, but life itself, as opposed to death. In this sense, politics is depoliticized: we are concerned with the preservation of life as such, rather than the continuance of a specific political way of life. Aid processes treat lives to be saved as bare life, not as lives with a political voice’ (Edkins 2000: xiv). Is the human the referent object in humanitarianism? Part of the problem here is in reconfiguring humanitarianism and shifting the focus onto the human and away from the sovereign state. Watson has written that: ‘[T]he common component of the various understandings of humanitarianism […] is that they identify human life/dignity as the referent object of security, and that human life and dignity can be existentially threatened by a wide range of developments’ (Watson 2011: 6). Watson is approaching humanitarianism from the perspective of securitization theory, which he believes can, ‘[direct] attention to the privileged position certain actors hold in the articulation of insecurity and to the conditions through which reified, monolithic forms of identity are declared’ Watson 2011: 12). He suggests that the referent object of humanitarianism is indeed the human, but he does not seem to place this ‘human’ in the context of a wider political process of sovereignty or problematize this ‘human’, as Agamben, Edkins, and Campbell have done. Part of retrieving the human from humanitarianism has to be about separating the human from the co-constitutive relationship that exists between the individual and the sovereign. But this does not mean that humans have reified rights (and meaning) that exist primordially – such things are constituted through political processes. The desire to eliminate alterity drives the humanitarian urge to create such primordial rights and responsibilities in humans, but such rights are in direct reference to the power relations of the humanitarian’s individual-sovereign relationship. Campbell has drawn on Michel Foucault to suggest that being human is, ‘not a question of humans having (as for humanism and humanitarianism) an essential and universal matter prior to the involvement in relations of power. Foucault’s being human is necessarily implicated in and produced by those relations of power. Foucault’s being human is, in this connected manner, a subject of freedom and a subject of power’ (Campbell 1998: 511-512). Relations of power should not be viewed as negative – they are necessary for society. A different figuration of politics is necessary to reach the principle element of the ethics of affirming life: ‘It is one in which the overriding concern is the stuggle for – or on behalf of – alterity rather than a struggle to efface, erase, or eradicate alterity’ (Campbell 1998: 513). This struggle for the possibility of difference can be viewed as a kind of human emancipation. Campbell also draws of Jacques Derrida to separate the human from the constitutive processes of the sovereign, suggesting that humans in different sovereign states are connected by their struggles with their sovereigns: ‘It is a political bond, therefore, which recognises that we are connected by the practices of government, but that we struggle with the strategies of governmentality which disciplines freedom’ (Campbell 1998: 517). Campbell is looking to a form of politics that looks beyond the state. This is why a conception of humanitarianism which has state action as its presumed response is to be rejected. In viewing humanity through the lens of the sovereign state – as part of the sovereign process – humanitarianism begins to unwittingly position the state as the referent object of humanitarianism. In the next section I wish to consider the place of the state in humanitarianism further. Both Campbell and Edkins – and to a lesser degree Watson – have argued that humanitarianism is a product of sovereignty and that it ultimately reinforces sovereignty. Humanitarianism is dependent on the concept of sovereignty, just as international humanitarian law is dependent on the state, because it is the state that must take responsibility. Campbell has written that, ‘the humanitarian needs to be appreciated as the null-site produced by and, thus, reinforcing the continuing operation of sovereignty, the absence made possible by the presence of sovereignty’ (Campbell 1998: 489). Edkins sees a strong connection between humanitarianism and the politics of violent militarism, suggesting that, ‘Humanitarianism is essential to both: it is deeply implicated in the production of a sovereign political power that claims the monopoly of the legitimate use of violence’ (Edkins 2003b: 204). Edkins’ point can be seen today in the preponderance of violent humanitarian interventions that Western states have undertaken, particularly since the September 11th attacks on the US. Militaristic humanitarian interventions are framed as a response to the degradation of human life in another sovereign state. Military action has to be carefully framed as response, particularly in the contemporary context, in order that legitimacy – and thus real sovereignty – is not lost. Writing about de-centring ‘events’, Angharad Closs Stephens and Nick Vaughan-Williams have written: ‘[“Event”] is seen as a ground, source or origin and “response” is considered to be a less important secondary by-product. However, if the “event” itself is re-configured as a response […] then the simplicity and coherence of the narrative breaks down or becomes de-centred’ (Closs Stephens and Vaughan-Williams 2009: 9). Equally, the response can be reconfigured as the event. In the context of humanitarianism this would suggest that state action against another state is, in fact, an event in itself, not simply a response. Intervention becomes the means to the end that is sovereignty, rather than it being the means to the end of preventing offences to basic human rights. This all points toward the suggestion that it is the state, in reality, that is the referent object of humanitarianism. It is sovereignty that is served by the contemporary forms of humanitarianism. The doctrine of ‘Responsibility to Protect’ perhaps encapsulates this best. The phrasing of the concept is so perfect because it illuminates immediately both the casting of ‘victims’ and the onus that is on the sovereign state. ‘Responsibility’ speaks directly to the ‘responsible’ (and ‘legitimate’) sovereign state; while ‘Protect’ confirms the identity politics, the foisting of victimhood onto the ‘other’ by the ‘self’, the process of alterity that is at the very basis of the sovereign system. In this short essay I have tried to suggest that the contemporary concept of humanitarianism is predicated on a politics of identity that is state-centric and necessarily views individuals as voiceless victims of failed sovereign states. I have drawn on mainly post-structuralist accounts of humanitarianism and attempted to problematize the term and interrogate its internal logic, considering what exactly it is that humanitarianism is concerned with. In conclusion I have suggested that the referent object of humanitarianism is not, as professed by those who practice it, individual basic and primordial rights of humans, but instead the construction and preservation of sovereign power. In particular I have briefly suggested that the doctrine of ‘Responsibility to Protect’ articulates a particular social ontology that relies upon a distancing and distinction between ‘self’ and ‘other’. Agamben, Giorgio 1998 . Homo Sacer: Sovereign Power and the Bare Life. Trans. Daniel Heller-Roazen. Stanford University Press. Belloni, Roberto 2007: ‘The trouble with humanitarianism,’ Review of International Studies, 33, 451-474. Campbell, David 1998. ‘Why fight: humanitarianism, principles, and post-structuralism,’ Millennium: Journal of International Studies, 27 (3), 497-521. Closs Stephens, Angharad and Nick Vaughan-Williams 2009. ‘Introduction: London, time , terror’, in Angharad Closs Stephens and Nick Vaughan-Williams (eds. ), Terrorism and the Politics of Response. Abingdon: Routledge. Edkins, Jenny 2000. Whose Hunger? : Concepts of Famine, Practices of Aid. Minneapolis and London: University of Minnesota Press. Edkins, Jenny 2003a. ‘Humanitarianism, Humanity, Human,’ Journal of Human Rights, 2 (2), 253-258. Edkins, Jenny 2003b. Trauma and the Memory of Politics. Cambridge University Press. Warner, Daniel 1999. ‘The politics of the political/humanitarian divide,’ International Review of the Red Cross, 833. Available at: www.icrc.org/eng/resources/documents/misc/57jpt3.htm. Accessed: 12/03/2013. Watson, Scott 2011. ‘The ‘human’ as referent object? : Humanitarianism as securitization,’ Security Dialogue, 42 (1), 3-20. Zizek, Slavoj 2005. ‘Against human rights,’ New Left Review, 34, 115-131.